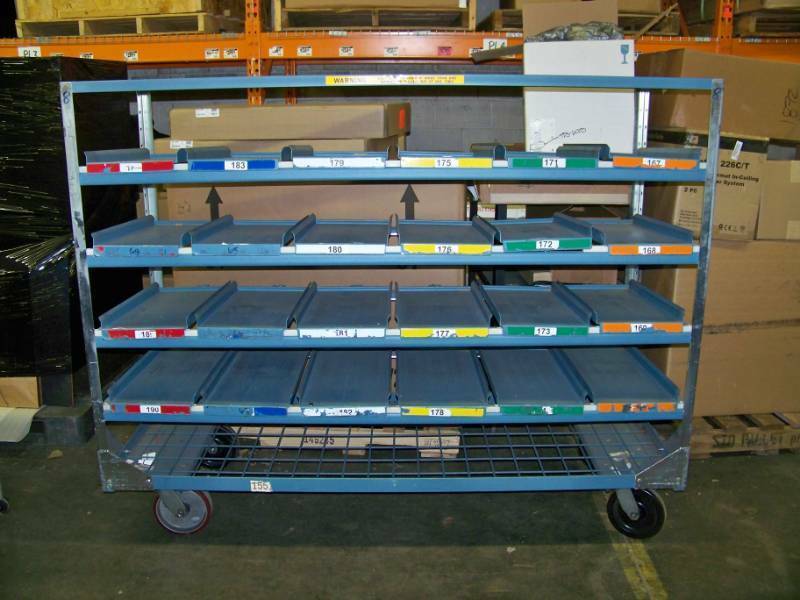 These carts were made for and used by the US Postal Service. Although the shelves are slanted/sloped for mail sorting - they can very easily be adjusted to level shelves. 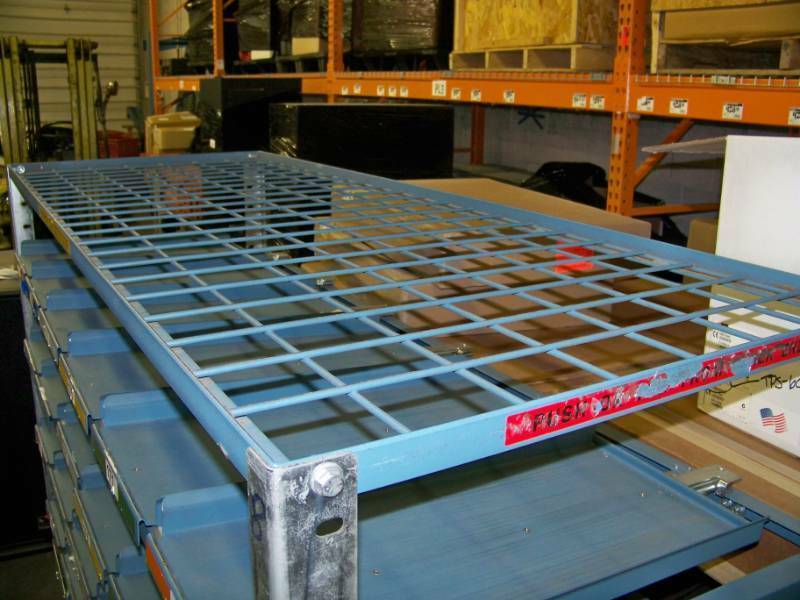 Each cart has a top and bottom shelf with wire grid. 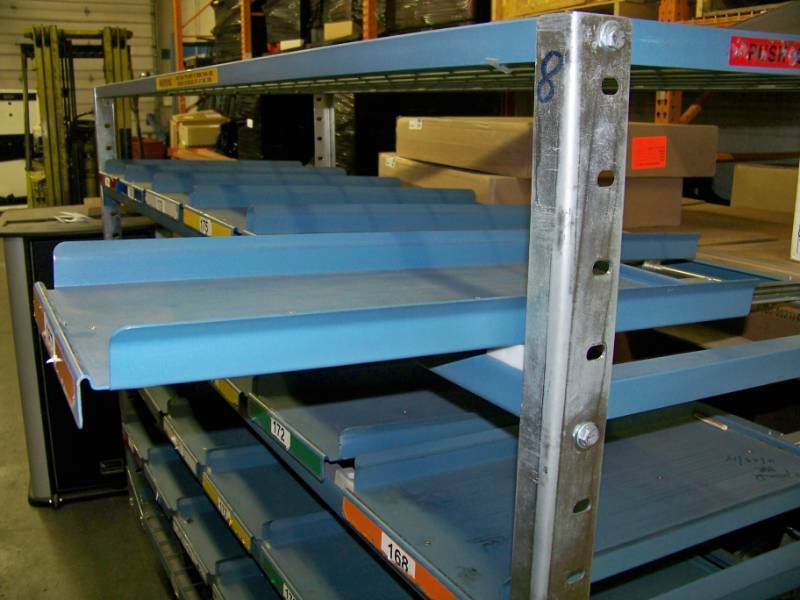 The four middle shelves each have six drawer-style shelves that are able to be pulled-out, as shown in pictures. 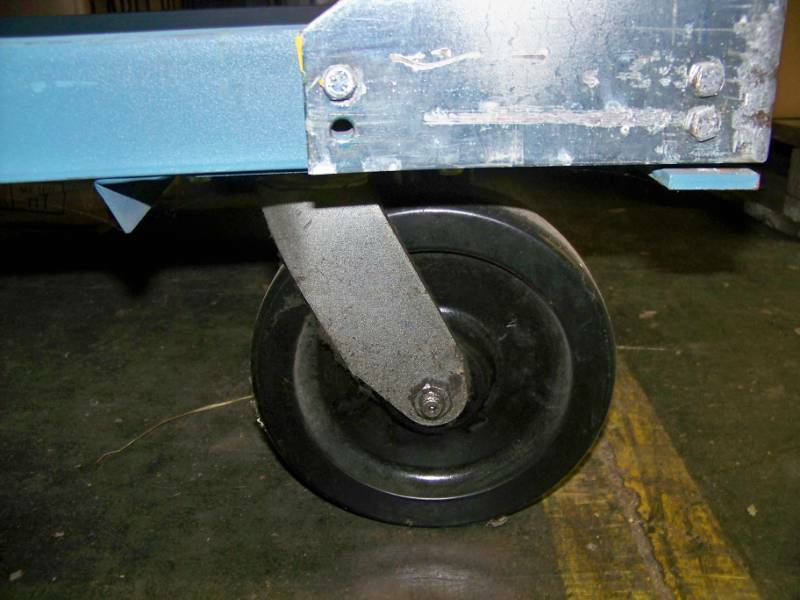 Casters are able to be locked in brake mode or locked to swivel or only roll straight! Please note: Dimensions of carts are listed - please be sure the vehicle you use for picking them up is appropriate! 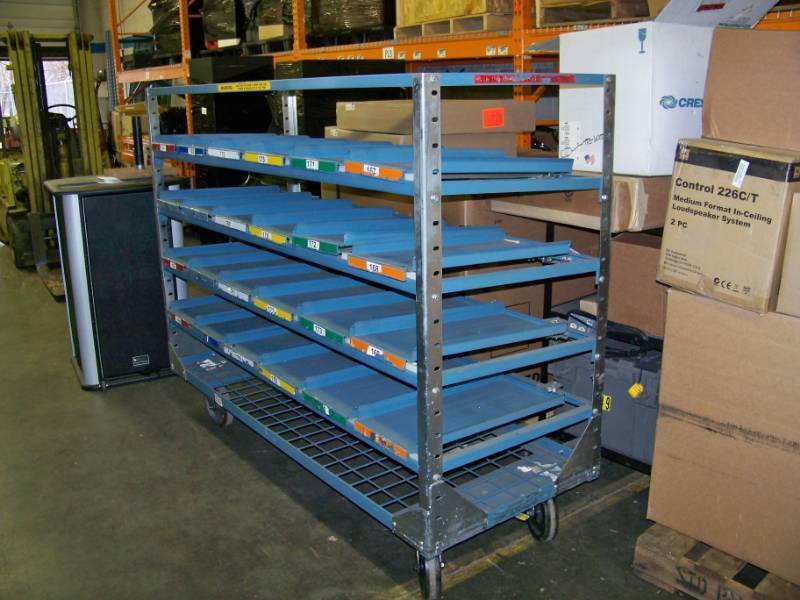 This auction is contracted and managed by St. Paul Warehouse. This affiliate accepts Cash, Wire Transfer, Cashier's Check, Visa, MasterCard & American Express. By placing a bid on this auction you are agreeing to the auction specific terms listed below in addition to K-BID user terms. For auctions contracted and managed by an Independent Affiliate, K-BID Online, Inc. is acting as a venue only and will not be involved in any disputes or issues regarding this auction. Everything is sold “as is, where is” with no guarantees or warranties. You are responsible for inspecting items prior to purchase. There is a 13% BUYERS PREMIUM (13% BP) on this auction. Applicable Minnesota Sales Tax will be collected (7.125%). At the close of the auction active items will remain open until no bids have been received for three minutes. IMPORTANT NOTE: If the high bidder of an item does NOT acknowledge the purchase, K-BID systems reserves the right to determine how and to whom it will be resold. If we determine that the winning bid was not a bona fide bidder, the item WILL NOT AUTOMATICALLY go to the next second-highest bid. Shipping in only available for limited items on the auction. Shipping is NOT available for Large, Over-Sized items or for any LED / LCD / Plasma TV's and Monitors. BEFORE WINNING AN ITEM, please direct any shipping questions/requests to 651-552-7402 or spwauctions@lpav.com.